London has a wealth of history to be explored and you can do this through the many museums and attractions which are available across the city. Here are just a few of the recommended places to visit for those who want to learn about the great city and everything behind it! If you want to see where hundreds of years of iconic historical events took place in London then the Tower of London is the place to head! The Tower was used as a palace for various Kings and Queens throughout history and is also associated with the likes of Guy Fawkes who was one of the most famous prisoners held at the Tower. Regular exhibitions focusing on specific periods of London history are held on a regular basis and you can even view the beautiful collection of The Crown Jewels which are held in the Tower. The London Dungeons can be considered to be one of the most popular attractions which covers the more gory side of the history of London. Periods of history which include the Great Plague, Fire of London and Jack the Ripper are all included in an interactive manner and if you want transported back in time you can take a trip on the 5D ride, the very first in the UK. The London Dungeons are moving to a new location in March so if you are considering going check out the new opening times and pick up one of these vouchers to give you a discount on the entry cost before you go. With millions of books, newspapers and regular exhibitions held at The British Library this can be the place to go if there is a specific period you would like to research. As well as the temporary exhibitions there are also three main permanent galleries available some of which focus on the history of London and the rest of the UK such as the Philatelic Exhibition which is a display of rare stamps. 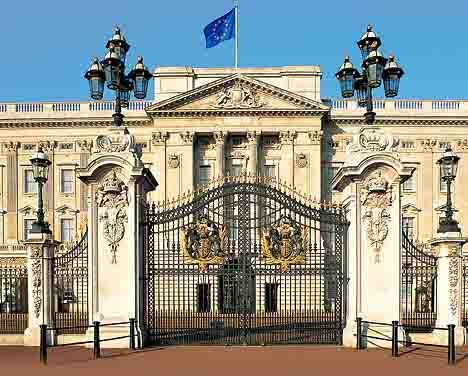 As The Royal Family is such an important part of the history of the UK and has made a significant impact on London a visit to Buckingham Palace during your trip to London should be considered a must! Where else can you get this close to the Royal Family and the years of history behind? When planning your trip it is worth checking out the schedules of all the attractions you would like to visit. Most, if not all will have temporary events planned throughout the year which you won’t want to miss out on. Furthermore it is important to note that the majority of the museums in London are free to enter which compared to some of the other attractions could save up to £100 per family!